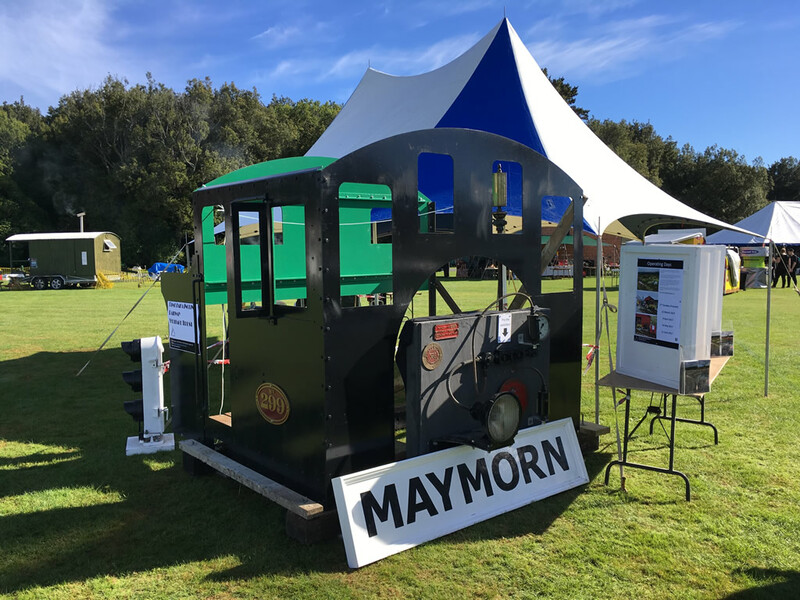 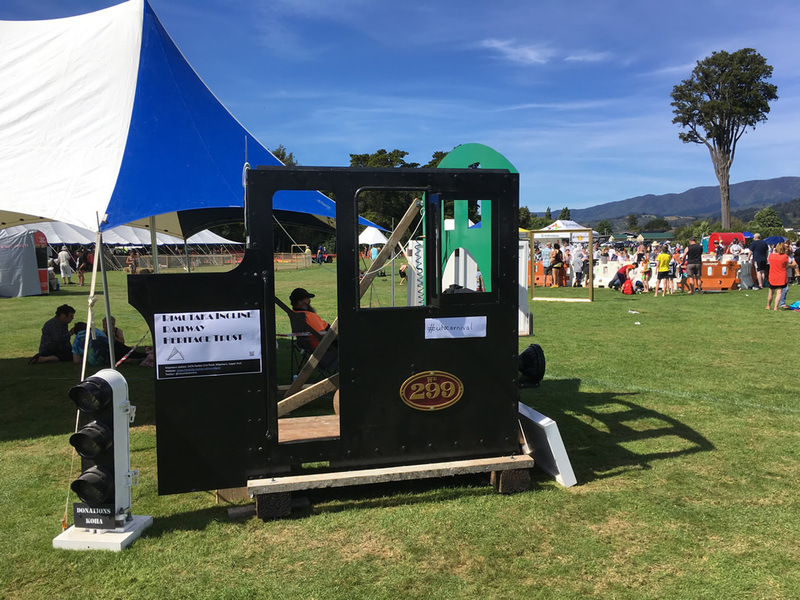 Steam locomotive Wb 299 cab and interactive display was the centre-piece of our display at the 2017 Upper Hutt Summer Carnival. 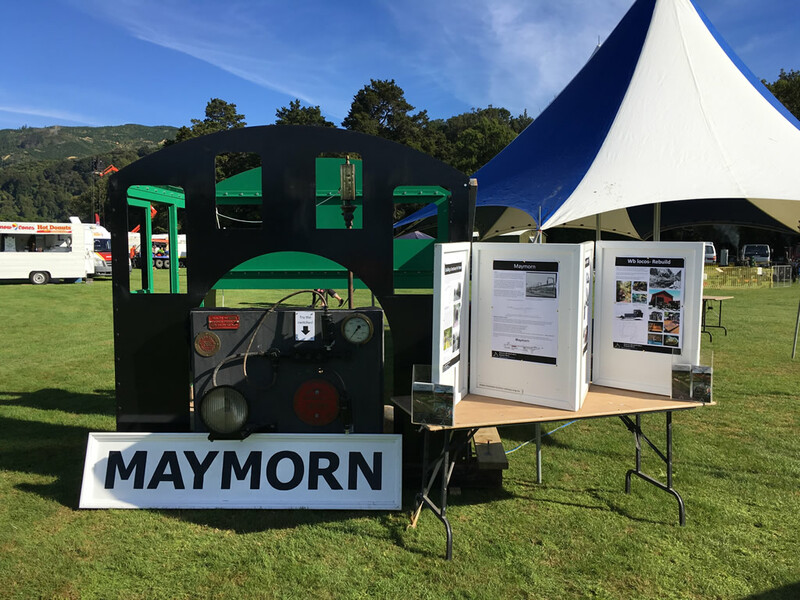 We rigged up a petrol-power air compressor to a pea-shooter whistle, which carnival goers were invited to try. 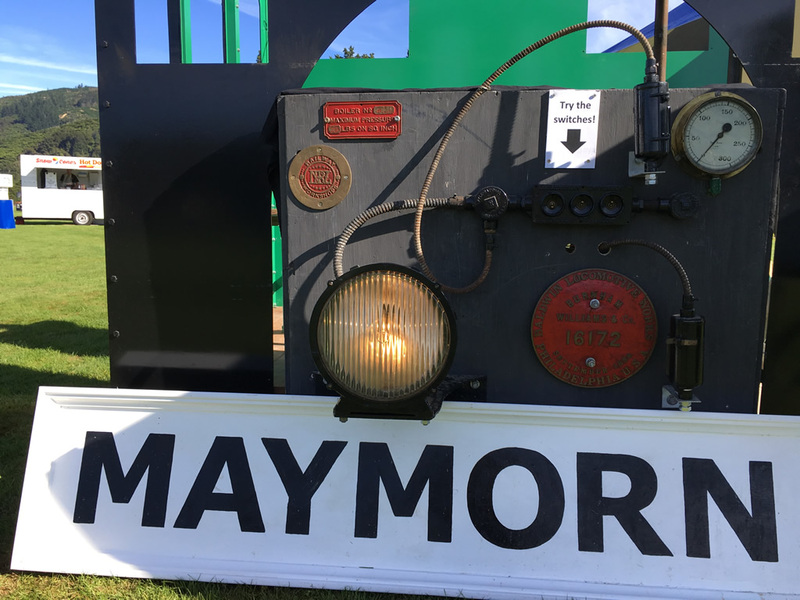 The Pyle-National headlight and gauge lights could be worked as well, with light cast onto a steam pressure gauge and the original Baldwin Locomotive Works maker's plate that was fitted to Wb 292. 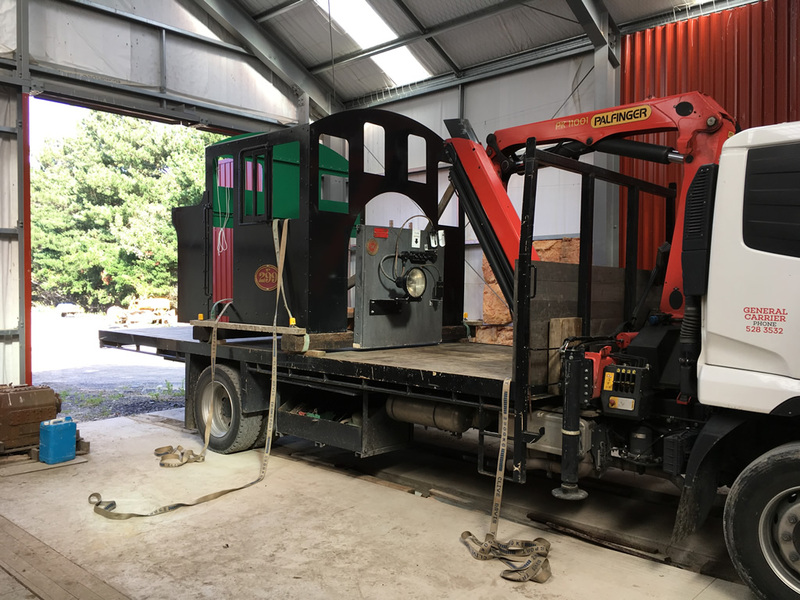 Cab and display returning to Maymorn after the carnival, looking locomotive-like as deck cargo.